Developer Lunar Rooster's unique take on first-person brawling, the action-FPS known as Sky Noon, has just received its very first-ever content update. Called the Pinnacle Map update, the update includes not only the namesake Pinnacle map, but also ice physics, a first for the game, as well as the new Duels one-on-one gameplay mode. "Located at the top of Floating Frontier," a press release for the new update reads, "don’t be fooled by the cool-looking Pinnacle Map where slippery ice physics will make it easier to knock opponents – and yourself – off the edge!" Players can get a feel for the new map in the Sky Noon Pinnacle Map update trailer featured below. Beyond the Pinnacle map, players will also be able to check out the new Duels mode, where solo players will face off against a single competitor in special matches set across three specially tailored maps. In addition to these, the Pinnacle update also includes the new Discord Rich Presence feature, which allows Sky Noon players to share their current status and organize matches through Discord. 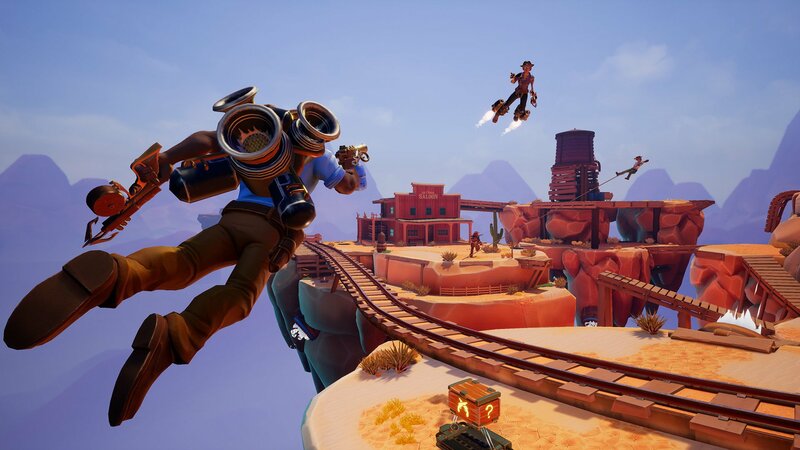 It also includes a handful of new gameplay options including friendly fire, gravity tweaks, and time shift options, the likes of which are meant to "further enhance the Sky Noon hilarity." Sky Noon is but one of the many interesting independent games to land on PCs this year. To learn more about the others, including future releases and even AAA titles, be sure to head over to Shacknews' complete video game release schedule for 2018.